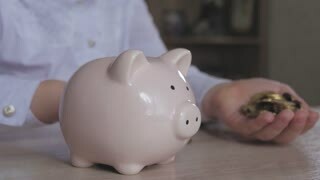 Happy girl save money in piggy bank in her home. 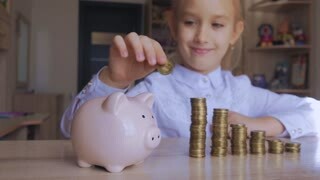 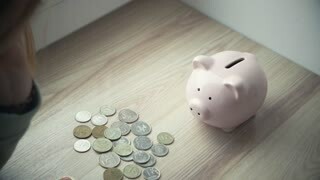 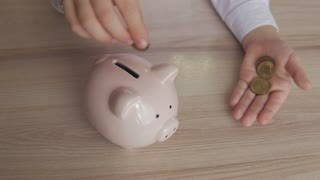 Child inserting a coin into a piggy bank, indoor financial concept. 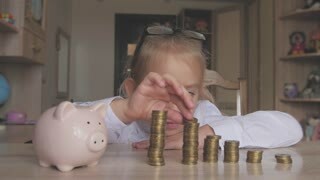 Kid saving money for future concept.